Digital transformation enabled by business intelligence (BI) solutions presents an enormous opportunity to drive growth and profitability. Fostering a data-driven organization emboldens the vision of faster, better-informed decisions to compete in the digital economy. Advancements in areas such as big data, in-memory computing, the cloud, mobile, the Internet of Things, artificial intelligence, and machine learning are placing BI in the spotlight. Organizations of all sizes and from all industries are empowered to effectively leverage their rich data assets and extend their decision-making capabilities beyond basic reporting of incomplete, outdated views of their data. In its simplest and purest form: BI is a framework that combines technology, processes and people for enabling faster, better-informed business decisions. Although my definition of BI is no better or more comprehensive than others, it does provide a direct and concise view with less emphasis on technology and more focus on decision-making. 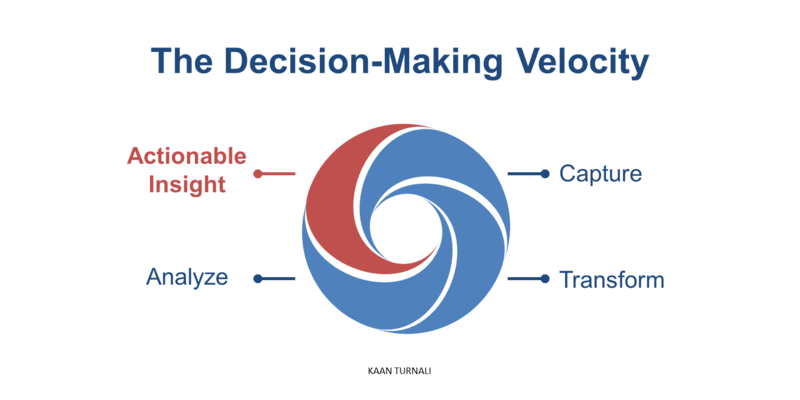 The speed at which we capture, transform, and analyze relevant data points determines our decision-making velocity. Moreover, it influences the effectiveness and efficiency in which we can study and interpret historical, current, and predictive data sets for actionable insight to guide strategic and operational decisions at all levels of our organization. 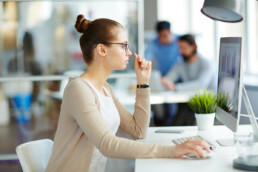 The opportunity energized by digital transformation and BI lies in our capacity to bolster a vision of a live, connected, and digital enterprise. If successful, we can quickly transform data into information and insight into action with smart integration of technology. In a typical business context, there are at least three basic needs for data and actionable insight: strategy, execution, and measurement. While this is a simplistic view of running a small business or multibillion-dollar enterprise, we need to accept that neither the strategy nor the measurement can be one-dimensional for the execution to produce the desired results. This is where BI comes into play. By connecting diverse data points to draw a complete picture of the current state of the business in real time, we can enable faster, better-informed decision making capabilities that can be delivered on premise and in the cloud. The “intelligence” in the term business intelligence comes from our ability to drive results from a more complete picture. Multidimensional views of data are integrated and contain the ingredients for a perfect decision triangle: Available, accessible, and trusted. This holistic approach empowers leaders to address new business models and complex challenges, which increasingly require greater, timely access to structured (such as sales and finance data) and unstructured data (such as customer experience that cannot be easily queried with traditional tools and technologies). The strategy and technology solution work together to provide a 360-degree value proposition of considerable ROIs and a solid foundation for actionable insight in all facets of the business. While the challenge of managing a massive volume of information with past, present, and predictive data points and diverse dimensions persist, data lakes and data warehouses remain conducive for cross-fertilization. Integration of new data sources, which until now have been mostly untapped, continue to present new opportunities. 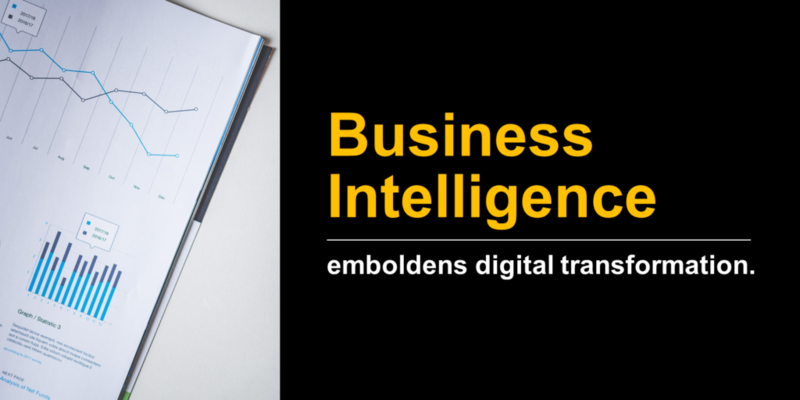 If designed, implemented, and managed effectively, digital transformation and BI can be the ultimate driver for growth and profitability. However, success with BI is not guaranteed, nor is the opportunity with digital transformation. They alone cannot solve business problems or make up for lack of leadership. To drive results with digital transformation and BI, we must place greater focus on business and people. Business decisions should be complemented by technology that promotes actionable insight, not the other way around. The future of decision-making is built on digital platforms that make the most of BI because it reveres commitment over indecision, action over inaction, and passion over indifference. Remember: Digital transformation isn’t a technology makeover; it’s a business revolution!